Tony DeVos describes the day he became president of Cardinal Laboratories Inc. as "one of the worst days of my life. "On that day Larry Sica," the man he calls "my mentor, my father-in-law, and one of my dearest friends," passed away, leaving leadership of the company, which manufactures pet grooming and health care products, in DeVos's hands. He might have felt unprepared and bereft on becoming the head of the company, but he mapped out a strategy that has helped the firm develop into a major international player in the pet care industry. DeVos knew nothing at all about the pet industry or running a manufacturing plant when Larry Sica hired him. Born in Eindhoven, Holland in 1948, De Vos emigrated to the United States at the age of 13. After graduating from La Salle High School in Sierra Madre, California, he earned a degree in business administration and information systems from California State University in Los Angeles. Cardinal Laboratories had somewhere between eight and ten employees when DeVos joined the company, following stints at several other firms, including the Bank of America. When Cardinal Laboratories lost its founder and guide, Larry Sica in 1981, De Vos had to pull himself together to keep the company going. He devised a plan and worked out a strategy to grow the firm into its present success. He started with some advice he'd gotten from Sica, who once told him that "We never make a mistake until it goes out the door." That emphasis on quality control and having systems in place to catch mistakes before they're shipped out is still the foundation of Cardinal's relationship with its customers. Chief among those customers, particularly in the early days of the company, were the groomers. 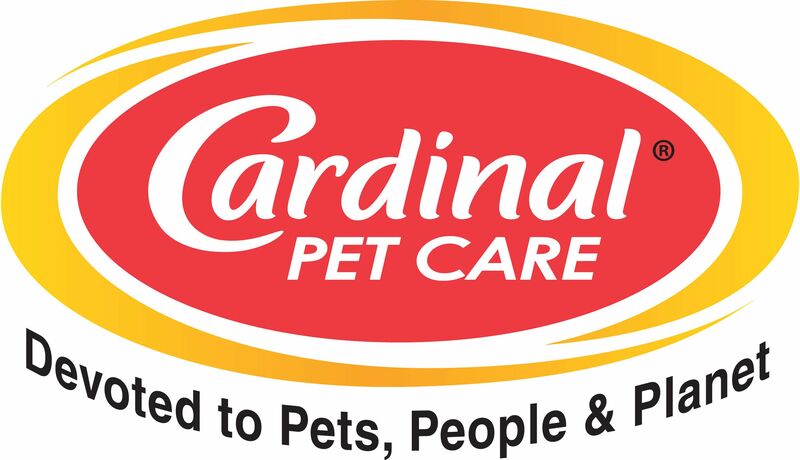 They relied on Cardinal to provide the products they needed and quality they could depend on. DeVos has never forgotten the support he received from those groomers, which is why the company sponsors the Cardinal Crystal Grooming Achievement Awards, presented each year at Intergroom, the largest international dog grooming show in the world. It's also one of the reasons DeVos is so active in industry trade associations. He's a two-time President of WWPSA. He believes that service to the customers is paramount, "Even if they (customers) order today and need it shipped today, which would be considered above and beyond the normal routine, we do our best to help them out. That's the only way we can all survive today -helping each other out." DeVos also attributes much of the company's success to the people who work there. "I want to give credit where credit is due. My management team and all my employees are qualified to do their jobs and they do them well. I feel confident that my people are watching out after their company. It's important to them too." Employees at the company say similar things about DeVos. They clearly admire and respect him, enjoy his sense of humor and appreciate his warmth. Comments they've made about their boss include, "He always has a smile; he's always glad to see you," and "Tony's had some days when I thought, if it were me, I'd go bury my head in the sand. But Tony always faced his problems. He's always here. He's persistent and he sticks to something until it's resolved. I've really learned something just by being around Tony every day." Cardinal Laboratories Inc. was established in 1948 in Los Angeles, California. Today it has a state-of-the-art 33,000 square foot manufacturing plant which was completely taken apart in October 2009 and raised to high-efficiency green standards. It's powered by Solar Power and it's the first Green business in Azusa, CA. It's also the first solar powered privately held manufacturing facility in the pet industry. Close by, in Baldwin Park, CA, Cardinal has another state-of-the-art air conditioned distribution center for it's dog treats and grooming products.